The role of a Telephone Fundraiser is to call existing and potential supporters from the AIUSA contact database and to open dialogue with them to promote Amnesty’s values and beliefs and to explain how best they can support us. This may involve asking them for financial assistance or a non-financial option. The Telephone Fundraisers will inform contacts of current Amnesty projects and campaigns and explain what they can do to make a difference. They will be expected to input this information in our database whilst ensuring supporter information is accurate, appropriate and up-to-date. To contact existing, potential and lapsed supporters via telephone to inform them of current campaigns and to ask them for appropriate assistance in accordance with the Amnesty brief and script structure. To attend campaign briefings and adhere to the objectives of this campaign within the phone call to our donors. To input bank details, supporter information and data capture whilst ensuring close attention to detail and accurate recording on our database & excel. To ensure mandatory elements within the script are adhered to and are read verbatim where necessary. To ensure relevant feedback and/or complaints are recorded and fed back to the Telemarketing Manager to ensure that these are dealt with and relayed back to the wider organisation. 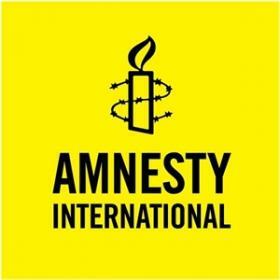 To represent, enhance and promote the Amnesty brand in a positive, professional and effective way. To ensure that all data is handled with sensitivity and in accordance with Data Protection legislation and financial good practice. To take responsibility for their own health, safety and welfare, comply with AIUSA;s health and safety policy and procedures, and not act in any way that compromises the safety of themselves, colleagues or the public. To deliver all aspects of this job description in accordance with AIUSA’s DEI policy. To ensure that office volunteers and/or activists and members contribute effectively to the work of AIUSA, by establishing and maintaining appropriate working relationships. To undertake any other relevant duties or projects delegated by the line manager, which are in line with the responsibilities of the post. Experience of working in a team to achieve shared objectives. Experience of using the telephone in either telemarketing or to promote business or work, or canvassing experience. Knowledge and understanding of supporter care. Ability to work unsociable hours is a key requirement of the job. Understanding of and commitment to DEI. Experience working for a charity or not for profit organization. Ability to use database systems and spreadsheets.